Ouch! 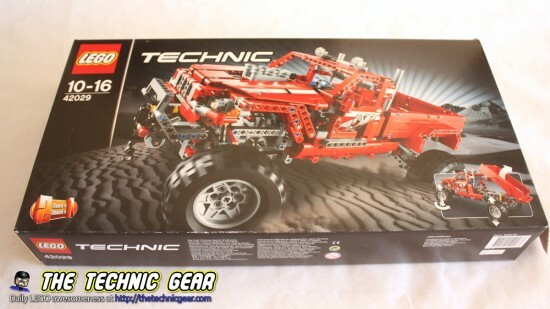 I have just realized that I have been too much time without building LEGO Technic sets, so it is time for fixing it. 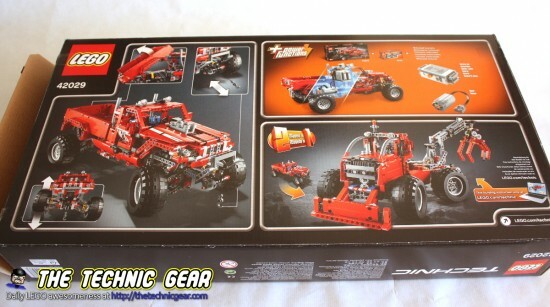 Today I build and review for you the 2014 Pick-up. I have been delaying this too much, waiting for the perfect moment, for the perfect light, for the right mood, and I have realized that nothing is perfect so…. I build. I love to record timelapse videos of all the building process, unfortunately this kind of videos require proper light and a time to build it from begin to end without interruption and right now I don’t have any of them. 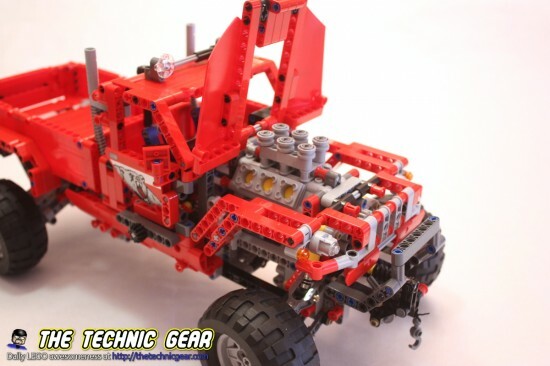 Where can I buy LEGO 42029? 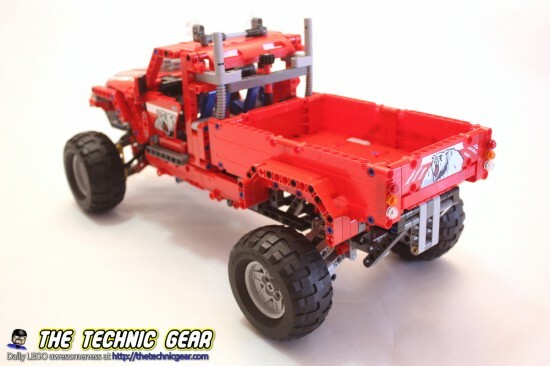 Transport heavy loads over rough terrain with the giant, red Pick Up Truck! 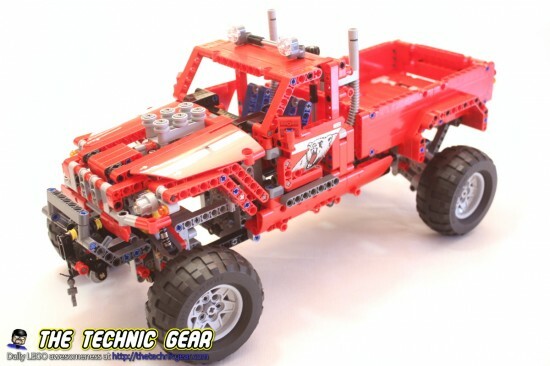 This rugged vehicle has huge wheels, a robust chassis, fully independent suspension, a large V-6 engine, sturdy grill guard with winch and a tipping bed. You can rebuilds it into an awesome Forest Skidder. And the back side shows the main features as well as the model B. This sets comes with 3 instructions manuals to build it. The steps are quite straight forward to follow. The last booklet has a section to add powerfunctions to operate the back part of the pickup and the front crane. 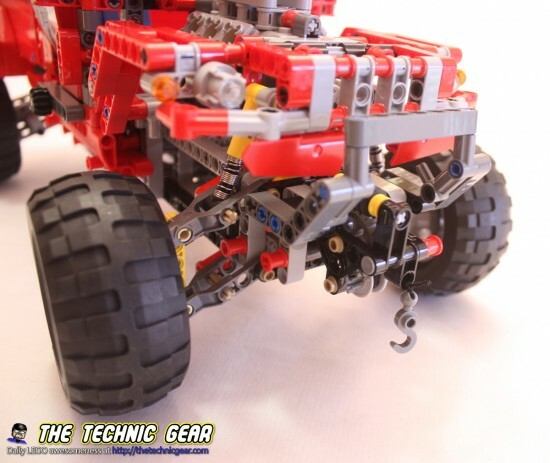 After so much time ( my last Technic model was the Service Truck ) it has been a real pleasure to build Technic again, and not having to record the whole process allowed me to really enjoy each step. 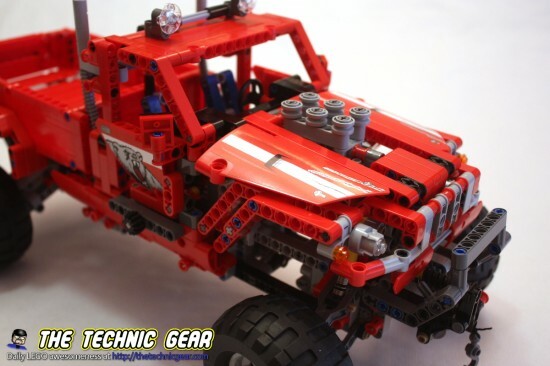 The building is quite straight forward, first building the chassis, then the front part of the cabin and finally the storage section on the back of the vehicle. I would swear there is still enough room for properly motorizing it without big modifications on the lower part of the chassis. This is the back part of the car. Watching this beauty from the underside… you are looking the differential and the springs. I don’t get tired of looking at it. – An IR Controller would have been too much to ask for? 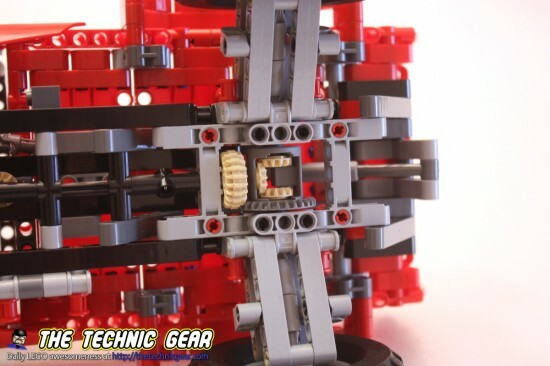 Does LEGO 42029 worth the money? Definitively! I really enjoyed building this set and if you pay attention to the building process you can learn a lot. I would really check an offer at Amazon. I got mine with £25 off.